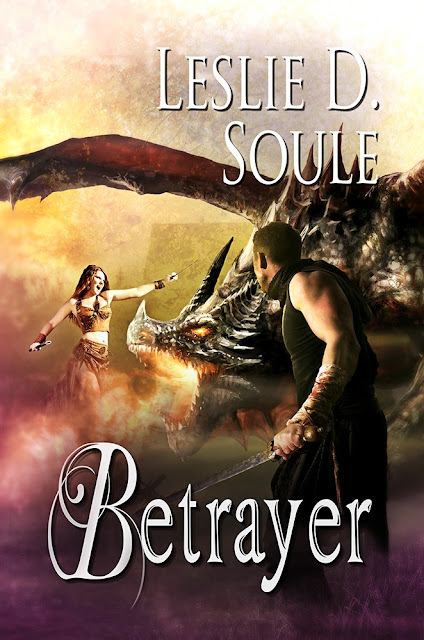 Goddess Fish Promotions has organized a Virtual Name Before the Masses Tour for BETRAYER by Leslie D. Soule, a fantasy available soon from Melange Books. With five crystals to destroy, in order to rob the dark lord Malegaunt of his power, Ash Kensington's path is set. She begins a quest with the talking cat, Greymalkin, and her wyvern, Slick. But when she meets up with the handsome dragon slayer, Draeon, her senses overwhelm her, and she becomes distracted. Will she be able to destroy the crystals in time to challenge Malegaunt? She looked at the bartender and said sorrowfully, “Give me a spell to make me forget.” I’ve wasted so much time, she thought to herself, and now I don’t know if I can get back on track. Malegaunt is out there, and none of the crystals have been destroyed. It drove her mad. He shook his head and pushed a pint of dark beer across the bar. “This is the best magic I know. That’s why I’m a bartender.” He pointed down the bar a ways to a man who looked to be in his forties, if not older. He was clothed in a black coat, and his stubbled face was hunched over a glass of what looked like whiskey on the rocks. “Now, that guy over there, on the other hand, he might be able to help ya. People call him the Oracle of the Oasis,” he informed her. Well, this is a difficult question for me to answer. As a writer, I find that I don’t have an intended audience in mind when I write. I just write as I feel like, and hope that there’s some truth in there or some things that people like about it. I try not to shy away from the difficult stuff, but a lot of people do. I try not to conform my writing to a target audience. I mean, it would detract from the process of writing, which is supposed to be organic and from the heart. Literature is where humanity stores its collective heart. And when you write a specific thing for a specific audience, it becomes more of a cold, mechanical process. My series is called the Fallenwood Chronicles. I did a search to check that the name hadn’t been used for a series already, and so far as I could tell, it hadn’t. I wanted something short, but to the point. This is a fallen fantasy woodland realm (or at least the area Ash starts off in, is in the woods), so smooshing the words “fallen” and “wood” together, did the job nicely. I also give the fantasy world the more proper title of Terra Illumina, but as a series name, I like Fallenwood Chronicles better. 3. Tell us a little bit about your cover art. Who designed it? Why did you go with that particular design? Stephanie Flint did the design, and I love it. She did the other covers for my novels as well, and I LOVE how they turned out! With this book, I wanted the cover to show an action scene and to show something exciting. I wanted there to be a dragon. Well, there’s a dragon-slaying scene in this book. I gave Stephanie the basic idea I was looking for, and she ran with it, and it’s awesome! 4. Who is your favorite character from your book and why? Of course my favorite character is Ash, because she’s based on me, but besides her, I really love Will Everett. He’s a character who I’ve tried to create as an embodiment of a genuinely good man. He’s Ash’s mentor and he knows a lot – in Betrayer, you get to see all the books he owns, on a variety of subjects. He’s a character that’s part reality and part wish fulfillment. 5. If you could change ONE thing about your book, what would it be? Why? I’d add in more sensory detail. I have my own writing style, but I think it comes off as a bit stoic sometimes, and I’d create more atmosphere in my novels, if I could change something about them. 6. How can we contact you or find out more about your books? 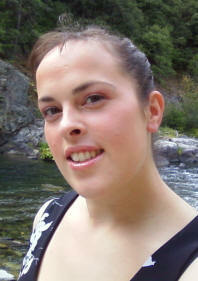 Check out my website at www.lesliesoule.com – there’s a contact form there, if you want to write to me directly. I’ve created a Facebook author page, and feel free to contact me on Twitter. 7. What can readers who enjoy your book do to help make it successful? Well, I’m an introvert, and so any help I could get with getting the word out about my books, is appreciated and helpful. I love getting reviews. And I’d love to network with other authors, and I particularly think we California authors ought to stick together and help each other. Yes. I want to say that if there’s a novel that you’ve always wanted to write, write it. Just start putting words on the page, even if you don’t think they’re good enough. Just write. And keep writing, and edit it all later. When you’re done, you’ll have something that you can work on polishing up, and you can continuously polish it until you’re happy with the result. Thanks for the excerpt, interview and giveaway as well. I liked the interview, thank you. Once you finish the final book in the fallenwood series, what's next for you? What's your favorite book? movie? show? What's your writing process like? How do you come up with your ideas/characters? Who’s your favourite author? Why? If not author do you have a favorite genre? Is there an author you really admire for their writing style, characters, plot, etc? What is your ultimate top career goal when it comes to your writing? Do you have any advice for others who wish to be published? DO you ever get writer's block? If so what do you do? Do you remember a particular book that made you want to become a writer/avide reader? you say that ash is based on you, do you see any characters that are like... the opposite of you? Congrats on the book and blog tour, good luck with your future works!